We are posting this notice in our News Blog because we hope that someone might read this and know someone who can help. On Wednesday, January 19,someone opened the gate to Skip and Dotty Johnson’s back yard and let three of their hounds out. Skip and Dotty were able to get two back, but have not been able to find Barbie. It is going on four days now since Barbie went missing and no one has reported a reliable sighting of her. Skip and Dotty used to live in Boonsboro and volunteered regularly for our group. A couple of years ago they moved to Coal Township, Pennsylvania, which is located around the area of Shamokin, Pennsylvania. They have done everything correctly. Since they were volunteers for our group, they knew exactly what to do and made sure that everyone in the area was properly notified. Since they live in a small township, everyone knows them and their dogs. 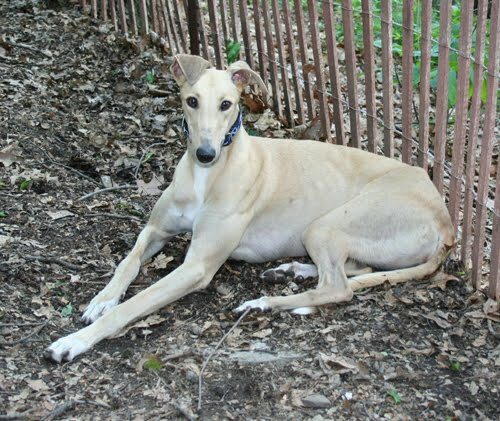 In addition, the other greyhound adoption groups in the surrounding areas were notified and some of their volunteers have been aiding in the search. They have posted many leaflets and given them out to everyone they meet. If you know of anyone who lives in that area of Pennsylvania, we’d appreciate it if you would call or email them. If you have a Facebook account, please post this information for freinds that you might have who live in that area. Hundreds of people have been notified through Facebook and other social media as well as greyhound forums. Please contact us and we will pass on the information to Skip and Dotty. Although there have been no sightings, we are still hopeful that Barbie can be found. Barbie is friendly and outgoing and is wearing identification tags. She knows her neighborhood because she gets walked often. Please keep Barbie in your thoughts.